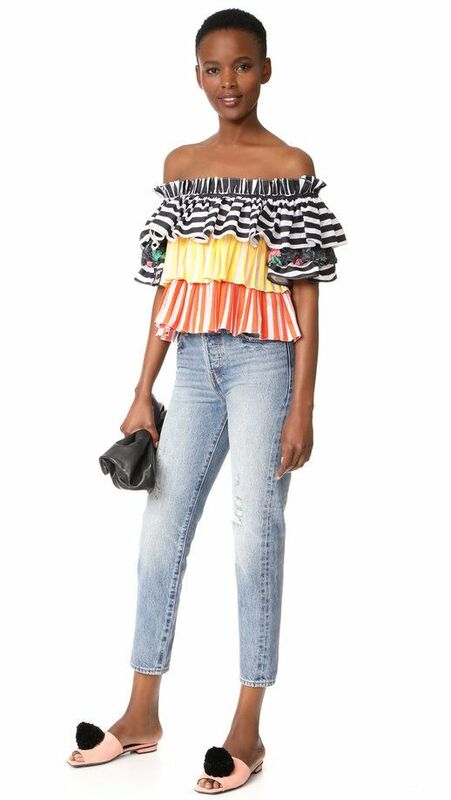 This fun top screams summer and it's the kind of scream that's boldly in your face. With its bright colors and playful stripes, this top is sure to be worn again and again. To complete the look, pair it with cropped jeans and a pair of funky slides.